Yup, M, I turn down the radio like that too, or any time I feel the need to focus more than usual. My brain makes enough noise when it’s working, I don’t need background music! YES TO KARMA! Taking Connor to work this morning, we had a talk about that very subject, and I interjected some of my favorite sayings: “You reap what you sow”, “Be kind to everyone, because you don’t know their troubles….”, The Golden Rule, Karma. Not the first time we’ve had this kind of talk, but sometimes 17 yr olds need remindin’, you know? Not only do I turn it down to see better but to think better too. I rarely have it loud except for a favorite song that I can belt out so it makes no sense whatsoever! The song doesn’t remind me of BJ Thomas but of fun with my friends, like driving in a car and singing it as loud as we possibly can. Oh youth! It is indeed wasted on the young! Congrats on your meeting. Doing good stuff always has it’s return. Sometimes it takes a while to notice it. Yes, B.J. Thomas! Our SIL saw that movie for the fourth time when a buddy was in town. 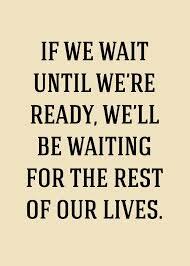 I like the quote about waiting to be ready. Ha! Liked your simile of complimenting the cook’s stove. I still refer to Karma with the biblical concept of reaping what one sows. Sometimes I even turn the radio off (gasp!) to hear directions. I don’t know if its Karma or destiny….but it seems that people usually get what they deserve, doesn’t it? The funny thing about your song comment is I remember slowing down as I drove if my favorite song was on if I was getting close to running out of that particular radio stations “area” and the song would start to fade in and out. In on hills, out in valleys. ZZ Tops Sharp Dressed Man and Diesel’s Sausalito Summer night. Oh that song sends me back to age 21 when I’d go back home from school or my travels to the local night spot with a friend from home. We weren’t serious, but I could always count on him to take me out and dance into the night! We weren’t steady but always “hooked up” when I was home. If only it were all the world’s habit to ask for guidance and wisdom before taking any action, we’d live in a much better place. So exciting that you got to meet with that particular congressman, AND that there was another person present who wanted to sing your praises. Those are the kinds of things that make all the hard work and any frustrations so worth it. That song makes me think of my aunt and uncle, both of whom were quite young when my siblings and I were born. While I was growing up, they were in their late teens and early twenties and I was fascinated with their enormous collections of 45 records. They’d pass on to us kids any of the songs they’d grown tired of. Loved reading about the invocation. 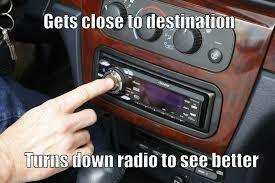 And I also tend to turn down the radio as I approach a stop sign/stoplight/accident…. Odd, isn’t it? Yes, I remember Blue Swede’s Hooked On A Feeling – AND BJ’s version before that! Busy week. Sounds like fun and fascination with the unknown.